Here is yet another example of how times have changed in the last fifty to sixty years – and this time not necessarily for the better! It’s very difficult to imagine today, but there was a time our mothers or grandmothers would remember, when the ideal woman was not “skinny” or bony. An attractive woman had curves; admittedly, a slim waist was desired, but breasts and hips and a healthy covering of flesh was what women aspired to. 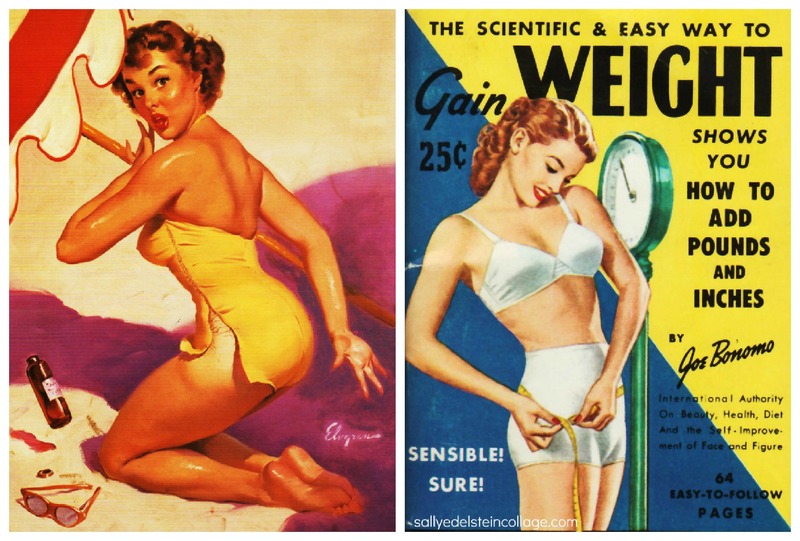 A number of newspapers and magazines ran advertisements like this one for weight gain products – with not only weight gain being the aim, but also an increase in body size! Even today, studies suggest that it’s other women and the fashion industry who put the most pressure on girls and women to be very thin; men, when surveyed, were shown to generally prefer a woman to have some flesh, some curves, and that ultimately size doesn’t count: it’s all about a woman’s confidence and what she projects from inside. Check our website out today – and happy shopping! Why Shop via Oz web Rewards? Shopping is not only a passion for many of us, it is one of life’s necessities. And whether we love it or hate it, everyone wants (and should expect) to get value for their dollar when they do so. This is even more important during challenging economic times, as we’re experiencing globally right now. Many people would also prefer to support Australian-based businesses; helping to support and grow our local economy. With so much shopping now online, the whole world is at our fingertips and with the click of a button we can find almost anything we want. Sometimes, it seems the best value for our hard-earned dollars is to be sourced from overseas. But this is not necessarily the case. While a higher Australian Dollar and competitive prices internationally may on the surface seem like a better deal, the reality is that with shipping costs and consequences to our local economy, those great deals aren’t always what they are cracked up to be. Shipping from within Australia: little to no shipping costs, fast shipping time. Online shopping is the way of the future: convenient, easy, and, dare we say it, even fun. Become a member of Oz Web Rewards today. No joining fees, no minimum-spend, and an enormous array of online stores and products to be found. Best of all – you will be supporting Australian small to medium businesses and being rewarded generously for doing so! Would you buy clothing labelled “Chubbettes”…? One can’t help but feel for the little girl who was on the plumper side – and the suggestion that comparison be made with her “slimmer” friends. It seems somewhat ironic that the slenderizing clothing line be called “Chubbettes” – reiterating what they aim to hide! If an eight year old in 1959 had focus put by her mother on what, in all probability, was what we lovingly term “puppy fat”, it isn’t too much of a stretch that by the 1970s and her early twenties, she might have an unhealthy body image and be dieting pathologically. There is no doubt that children and adolescents, just like adults, come in all shapes and sizes – as does beauty. Fortunately today, though we still have a very long way to go, magazines in Australia, for younger teen readers at least, celebrate that we are all different and beautiful in our own way. This writer’s daughter reads a number of teen girls’ magazines and it’s refreshing to see young models whose photographs are not retouched, some are wearing braces on their teeth, some wear glasses, some are (dare we say it) a little “chubby”. And all are beautiful. NONE are unhealthily thin. We can only hope that this trend continues over the years so that today’s thirteen year olds see the same messages delivered in their fashion magazines and in the media when they are in their twenties and beyond. At Oz web Rewards, we are proud to have lots of participating merchants who sell women’s fashion online Australia-wide for women of all ages and sizes. Even better, at great discount prices and all offering rewards, cheap clothes online Australia-wide are at your fingertips – whether you or your daughter are thin, plumper, or anywhere in between! Is Bad Coffee A Spanking Offense? 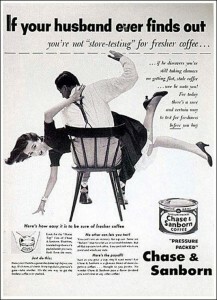 But when is spanking the wife (or anyone else for that matter) because the coffee isn’t up to scratch a good idea? Advertisers back in the 1950s/1960s obviously thought so. No wonder so many men needed (and still need) to be educated about how is and isn’t OK to treat the love of their life – or any woman, for that matter! Evidently, even sixty years ago, coffee was a big deal. At Oz web Rewards, was are proud to have over 75 merchants participating in our rewards program, including one who specifically supplies gourmet coffee and accessories at discount shopping prices. Visit us today – it’s free to join and reward points are earned and pooled for every purchase. Will GST Kill Offshore Online Shopping? Oz Web Rewards is a Top 20 Loyalty program – WORLDWIDE! 10 Healthy Option Blogs - PinItLink Healty Post on Coca Cola – The “Healthy” Option!